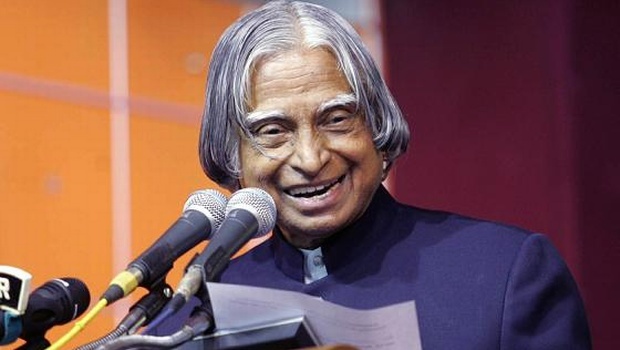 India has lost its missile man and a great scientist Dr. APJ Abdul Kalam yesterday after he collapsed during a lecture at the Indian Institute of Management in the Meghalaya capital. It’s a huge loss to the country that can’t be replaced. Kalam, who was the 11th President of India, was a very popular head of state between 2002 and 2007. He was also known as India's missile man for ensuring the success of Integrated Guided Missile Development Programme (IGMDP). He has greatly contributed to the development of ballistic missile and space rocket technology. In India he is highly respected as a scientist and as an engineer. Dr. Avul Pakir Jainulabdeen (APJ) Abdul Kalam born on 15th October 1931 at Rameswaram, in Tamil Nadu, , specialized in Aero Engineering from Madras Institute of Technology and received honorary doctorates from about 30 universities globally. In the year 1981, the Government of India presented him the nation's highest civilian honor, the Padma Bhushan and then again, the Padma Vibhushan in 1990 and the Bharat Ratna in 1997. Before Kalam, there have been only two presidents - Sarvepalli Radhakrishnan and Zakir Hussain - to have received the Bharat Ratna before being appointed to the highest office in India. Before his term as India's president, he worked as an aeronautical engineer with DRDO and ISRO. Dr APJ Abdul Kalam regards his work on India's nuclear weapons program as a way to assert India's place as a future superpower. Even during his tenure as President, APJ Kalam took avid interest in the spheres of India's science and technology. He has even put forward a project plan for establishing bio-implants. My message, especially to young people is to have courage to think differently, courage to invent, to travel the unexplored path, courage to discover the impossible and to conquer the problems and succeed. These are great qualities that they must work towards. One of the very important characteristics of a students is to question. Let the students ask questions. While children are studying to be unique, the world around them is trying by all means to make them like everybody else. Science is global. Einstein's equation E=mc2 has to reach everywhere. Science is a beautiful gift to humanity. We should not distort it. Science does not discriminate between multiple races. One of the more difficult tasks for me as President was to decide on the issue of confirming capital punishment awarded by courts… to my surprise… almost all cases which were pending had a social and economic bias. This gave me an impression that we were punishing the person who was least involved in the enmity and who did not have a direct motive for committing the crime. Dream, Dream, Dream. Dream transforms in to thoughts. And thoughts result in action. I'm not a handsome guy, but I can give my hand to someone who needs help.Beauty is in the heart, not in the face. Kalam's belief in the power of science to resolve society's problems and his views of these problems as a result of inefficient distribution of resources is modernistic. He also sees science and technology as ideology-free areas and emphasises the cultivation of scientific temper and entrepreneurial drive. In this, he finds a lot of support among India's new business leaders like the founders of Infosys and Wipro, (leading Indian IT corporations) who began their careers as technology professionals much in the same way Kalam did. A bachelor, the former president was a veena player and was deeply interested in Carnatic music. He was vegetarian all his life. Kalam's father was a devout Muslim, who owned boats which he rented out to local fishermen and was a good friend of Hindu religious leaders and the school teachers at Rameshwaram. APJ Abdul Kalam mentions in his biography that to support his studies, he started his career as a newspaper vendor. This was also told in the book, A Boy and His Dream: Three Stories from the Childhood of Abdul Kalam by Vinita Krishna. The house Kalam was born in can still be found on the Mosque street in Rameshwaram, and his brother's curio shop abuts it. This has become a point-of-call for tourists who seek out the place. Kalam grew up in an intimate relationship with nature, and he says in Wings of Fire that he never could imagine that water could be so powerful a destroying force as that he witnessed when he was thirty three. He is a scholar of Thirukkural; in most of his speeches, he quotes at least one kural. Kalam has written several inspirational books, most notably his autobiography Wings of Fire, aimed at motivating Indian youth. Another of his books, Guiding Souls: Dialogues on the Purpose of Life reveals his spiritual side. He has written poems in Tamil as well. It has been reported that there is considerable demand in South Korea for translated versions of books authored by him. Kalam has also patronised grassroots innovations. He is closely associated with the Honey Bee Network and The National innovation Foundation. The NIF is a body of Government of India and operates from Ahmadabad, Gujrat. India lost a gem of science and technology. Though he is physically no more we see and experience him in rocket, defence (missile), medical technology achievements. We saw many presidents but Kalam is unique with his personality, statesmanship, and scientific temper, vision for the country and bringing hope for the youth and students for realizing their dreams into a reality. He is special for himself. Incidentally he had his last breath while addressing students of management his passion habit. May his soul rest in peace dreaming for India to become a major power in the world with its scientific advancement. My heartily condolence & salute to Dr. APJ Abdul Kalam!! !